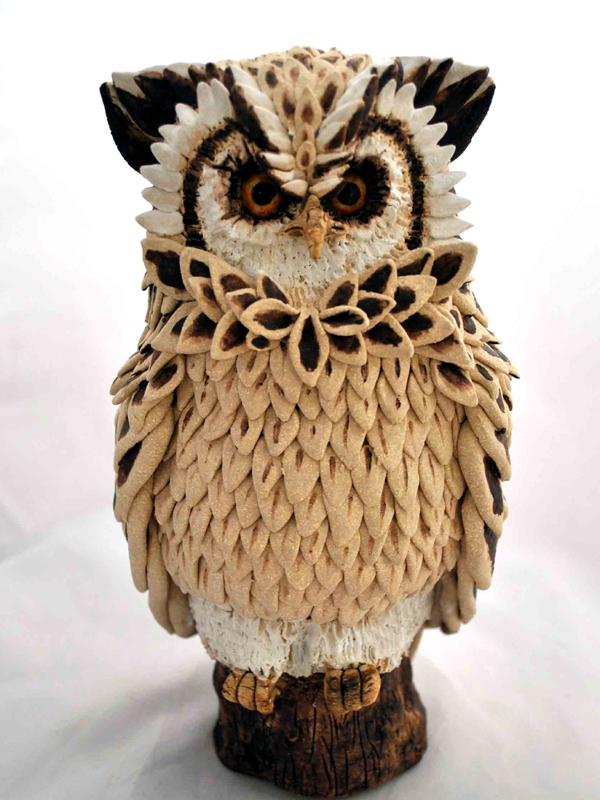 Leona’s work is greatly inspired by the natural landscape and environment where she lives and works. 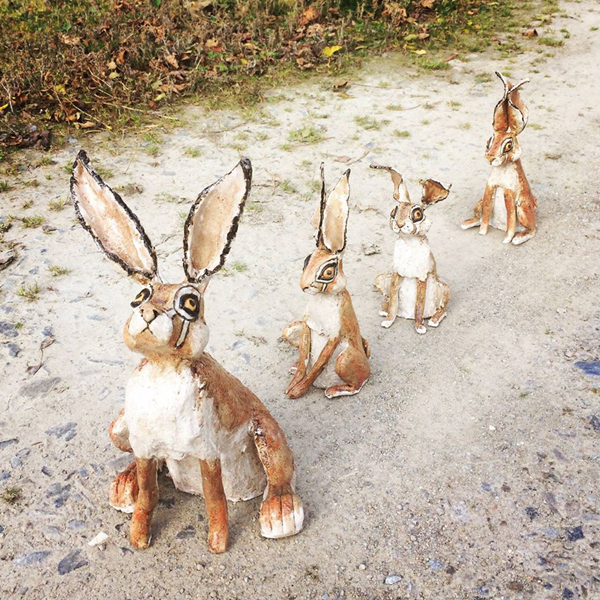 Based in the countryside, she draws inspiration from the rural landscape and the animals which inhabit it. 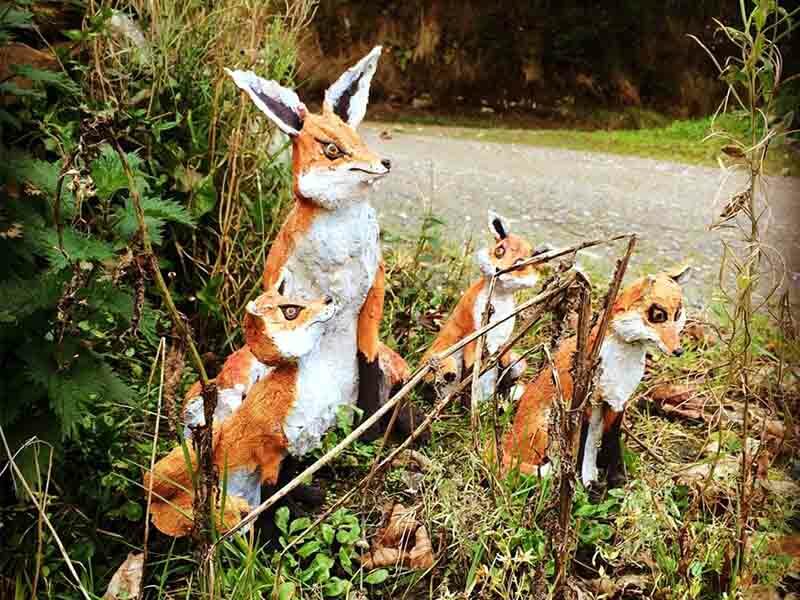 Leona tells the story of how she had originally began creating a body of work based on the farm animals surrounding her studio, in particular the little red hens that occupied the garden, until one afternoon a fox came and lifted them all. He continued to visit the garden for a couple of weeks afterwards, sitting on the street watching in the window as she worked. 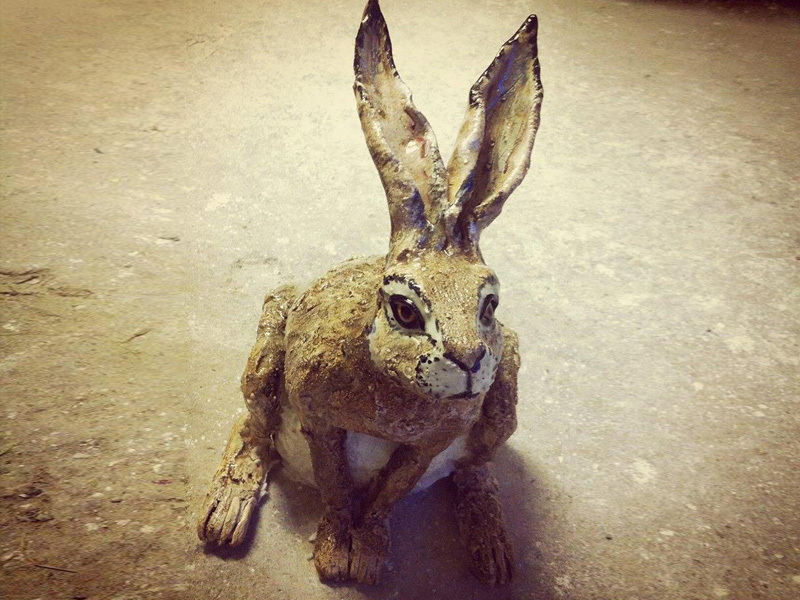 This lead Leona to begin focusing on wildlife, particularly hares where, in her work, she aims to create pieces which capture the character and charisma of the animal.